Game 7. The greatest two words in the history of sports. 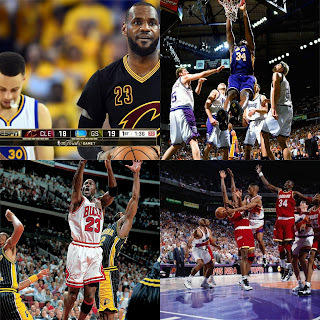 For the NBA, the talk of the league being ruined and everything else surrounding that, we have two Game 7s to determine who the NBA Finals will feature. 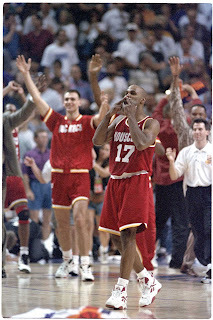 That got me thinking about the past Game 7s that were classic and important to the game of basketball. 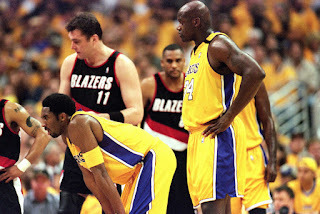 So today, I wanted to look at some classic Game 7s. Which games make the list? Let's take a look. 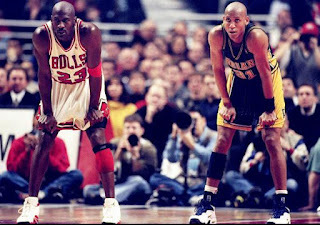 -So, there were few times in his career that Michael Jordan experienced a Game 7, but when he did, he would mostly show up and execute. 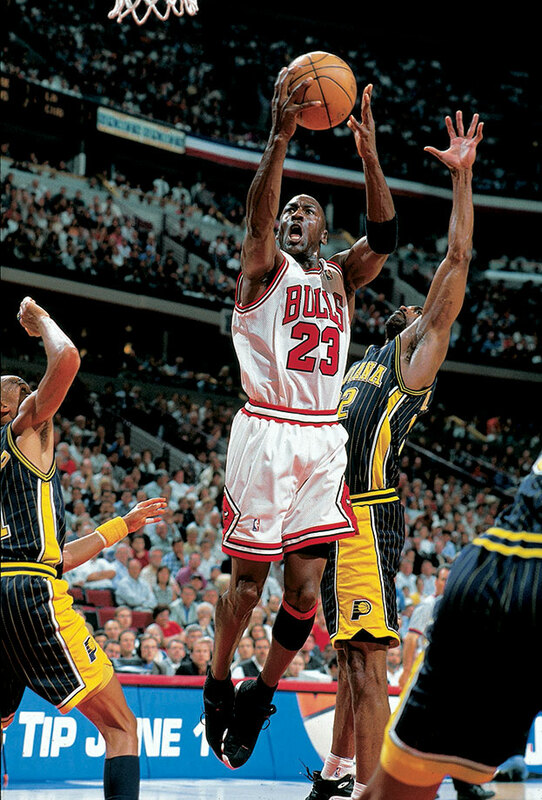 Aside from the tough game 7 loss he took against the Pistons in 1990, Jordan was mostly undefeated in Game 7s on the biggest stage. However, the best part about this game is that it wasn't won through high powered offense, but defense, which was a central focus of the game back then by far. 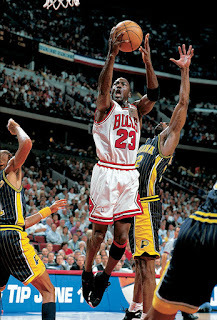 Jordan had a rough night shooting wise (still finished with 28 points, 9 rebounds, and 8 assists), and so did Pippen, but the defense on the Pacers made sure they would secure their 6th trip to the Finals in 8 seasons, as they held the Pacers scoreless for the final two minutes of the game. The Bulls would win 88-83. -Quite possibly one of the best playoff series of this era saw Iverson and Vince Carter battling it out in their primes. 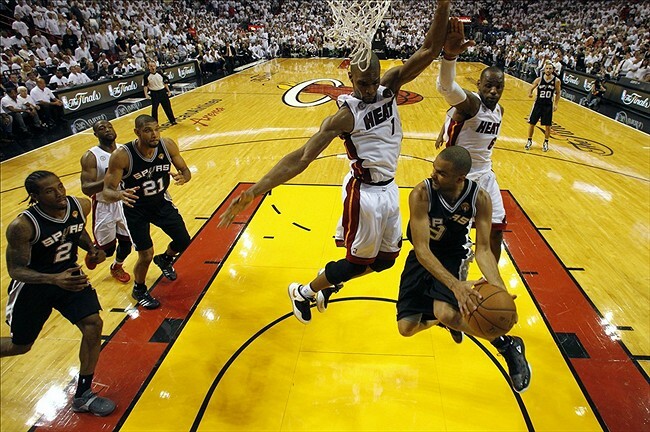 After an excellent duel in prior games, Game 7 would come down to what wins championships: defense. 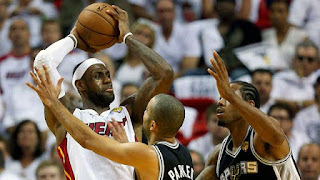 This was a defensive game that would determine the series and see who would face the Milwaukee Bucks in the ECF. 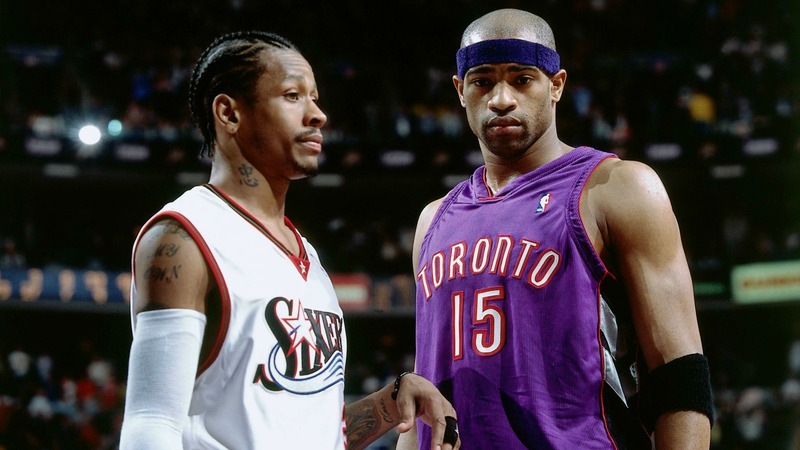 Iverson was hugely inefficient and Carter didn't have a big game but this was an example of how your best players not being on fire can still result in a win. Simply put, the 76ers would end up winning and walking away with a huge victory 88-87, doing just enough to win and close the series. -I should put Game 6 in place of this one, but Game 7 was just as entertaining as that one as well. 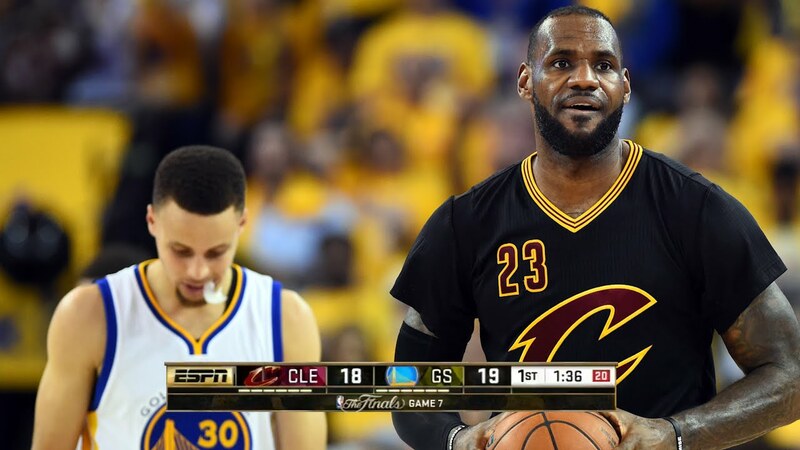 This is one of my favorite Finals series and this was the chance for LeBron to show up and do what he does best. For the Spurs, they would head into the 4th quarter only down one point and had a chance to tie it up, but a Tim Duncan floater just missed and that was pretty much the end of that. After LeBron hit the dagger to win it all, he would be crowned the MVP of the Finals as the Heat would take this game 95-88. This is one of the more suspenseful Game 7s in recent history without question. -Of course, who could forget this one. After a heroic display by Isiah Thomas on an injured ankle, the Lakers and Pistons came down to one more game. 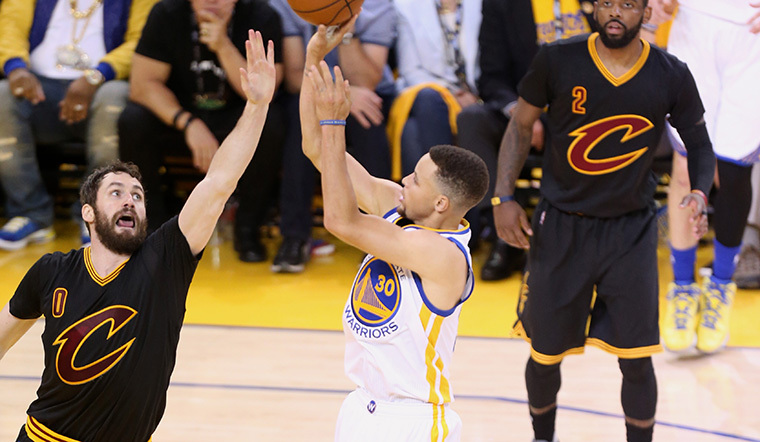 It would be a classic, exactly what you would want Game 7 to be, and it came down the final seconds. 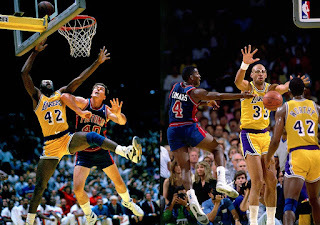 The Lakers were up by three and Isiah got a final shot, but the fans stormed the court and there was no foul call on how Magic checked Isiah, so it would end with the Lakers winning back to back titles 108-105. 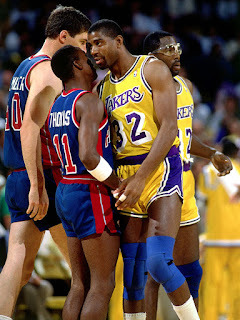 This game is fun to watch back now and one can only wonder what would have happened if Isiah was healthy. -The kiss of death game. How could anyone forget this. Mario Elie cemented himself as a legend in this game. It was one of the most clutch shots ever and to be fair, the Suns had excellent play from Kevin Johnson, who was determined not to lose in this game. He finished with 46 points and 10 assists, but it was not enough as the Elie three ball with the kiss of death after secured a close win and a trip to the WCF for the Rockets with a 115-114 victory. -It isn't everyday that you'll see me say something positive about Paul Pierce, so here goes nothing. This was a legendary game for both Pierce and LeBron, with this being a battle for the playoff ages. LeBron controlled the offense for his team as always, finishing the night with 45 points, while Pierce led the Celtics to victory with his 41 points and clutch free throws at the end. The Celtics won 97-92, and they would become NBA Champions that year, with this series being their biggest challenge thus far. -My favorite memory of this game is the same as everyone else. 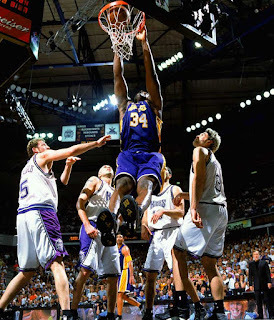 Watching the Kobe to Shaq alley-oop that sealed the deal of a monstrous comeback. The Lakers seemed dead in the water and a lesser team would have given up during this game when the Lakers were down 15 with 10 minutes to go. 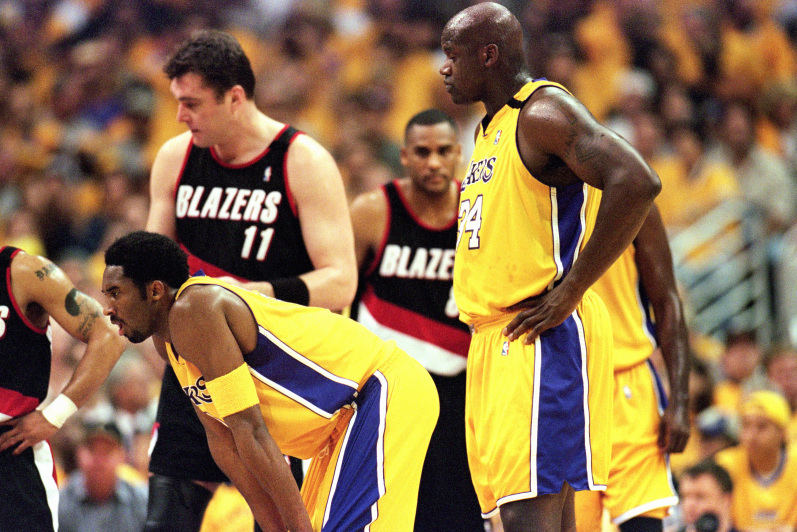 The Blazers would miss 13 consecutive shots and the Lakers would begin to take the momentum. 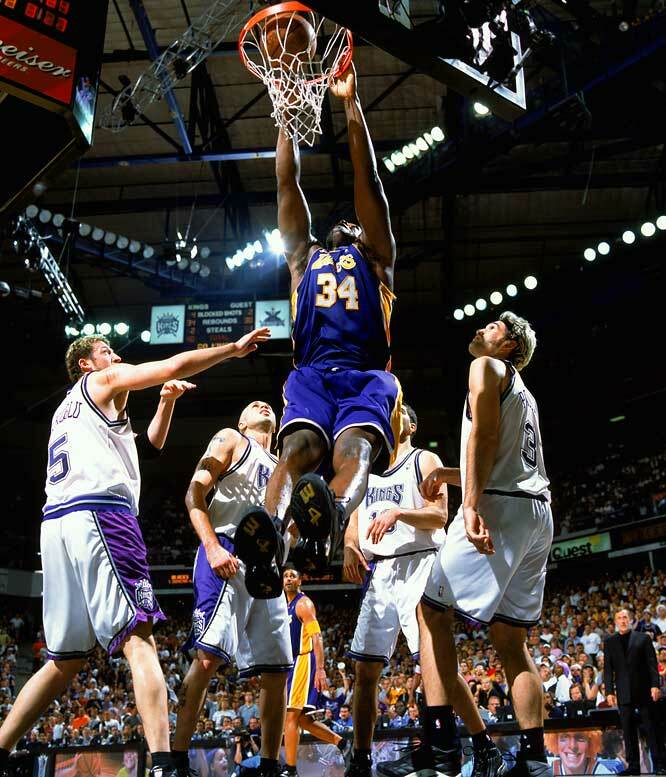 This would lead to that huge moment with the Kobe to Shaq alley-oop, and that sealed the beginning of a dynasty. The Lakers would win the game 89-84, then go on to win their first NBA Championship in 12 years. -There is a lot of controversy about this series. A lot of it. Whatever the case, it seems as if the Lakers and the Kings rivalry would come to an end or at least a playoff end with this series. Simply put, the Lakers were tired and worn down, and the Kings were better this season. 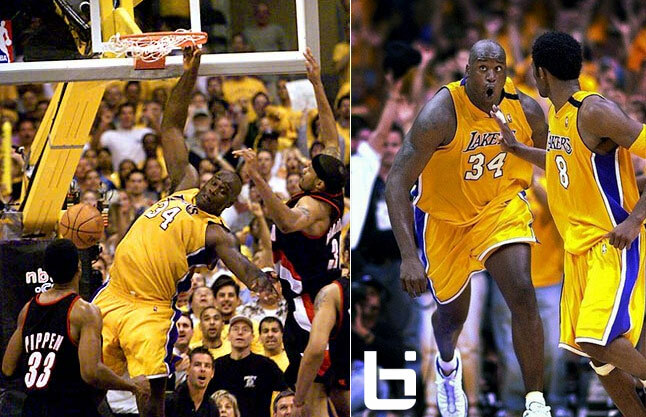 Some luck helped the Lakers tie the series up 2-2, only to go down 3-2. After a very controversial game 6 that would leave the Lakers tied 3-3, we would then see that both teams wanted to win badly. In many ways, this year's WCF are just like this series, with many feeling whoever wins this, likely wins the Finals. The Lakers would battle on the road and take the game to OT, and pull out a major win 112-106. This game was intense throughout and was a lot of fun to watch looking back. The Lakers dynasty would begin with a game 7 win in the WCF and they would have to go 7 games to win their final title of the Kobe and Shaq era. Poetic. -Of course. The last great Game 7. Well, perhaps the last great one. 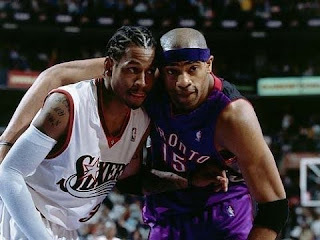 This game was all the NBA could ask for in many ways. The NBA loves the idea of a series going 7 games, and the amount of money the NBA would receive from this series going 7 games is amazing. The Warriors were banged up and injured and the Cavs were exhausted, but as the game got near the end, you would see Kyrie hit the biggest shot of his career and that would be the difference maker along with the crazy block from LeBron on Iguodala that is immortalized forever as the Cavs won the title and the game 93-89. Will the Game 7s this year live up to the hype? That remains to be seen, but anything is possible.